The beautiful Hever Castle, situated in the lovely Kent countryside in England, dates back more that 700 years but was lovingly restored in the early 20th century by William Waldorf Astor, a wealthy American. Sir Thomas Bullen, later known as Boleyn, inherited Hever Castle from his father Sir William Bullen in 1505 and made it into a family home for his wife, Elizabeth Howard, and three children – Mary, Anne and George. The castle is famous for being the childhood home of Anne Boleyn, second wife of King Henry VIII, who was executed in 1536 after being Queen for just 1,000 days. After Anne Boleyn was executed for treason and adultery, along with her brother George, Thomas Boleyn became shunned by the Court and led an unhappy two years until his death in 1538. It is then that the castle fell into the hands of Henry VIII who gave it to his fourth wife, Anne of Cleves, when he divorced her in 1540. Anne of Cleves lived at Hever Castle as “The King’s Sister” until her death in 1557 when it was bought by Sir Edward Waldegrave. The castle remained in the Waldegrave family for 160 years until it was deemed too small for James Waldegrave, Ambassador to France and 1st Earl Waldegrave. The castle was sold in the early 1700s to Sir William Humphreys, Lord Mayor of London (1714) and remained in the Humphreys family until 1749 when it became owned by Sir Timothy Waldo. 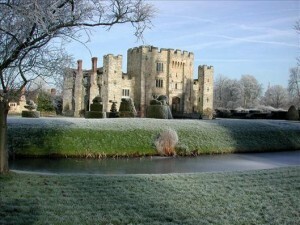 Sadly, as Hever Castle was passed through the Humphreys, Waldo and Meade-Waldo families it gradually declined and was in a very sorry state by the end of the 19th century and probably would have turned into an uninhabited ruin if William Waldorf Astor had not stepped in and bought it in 1903. William Waldorf Astor, an American who became a British subject and was created the first Viscount of Hever in 1917, set about renovating the castle with the intention of enlarging the property into a Tudor-style “village” without detracting from the castle or ruining it. With the help of his architect F.L.Pearson, he added accommodation such as guest rooms and staff quarters which were linked by an interior passageway and linked to the main Castle by a bridge that ran across the famous moat. 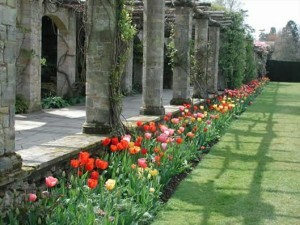 The grounds of Hever Castle were landscaped under the direction of Joseph Cheal to allow for a wide range of shrubs and trees to be planted. 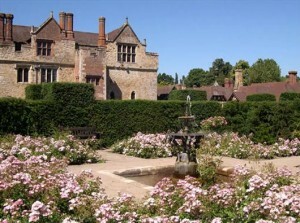 If you visit the castle now, you will be able to enjoy rose gardens, a paved courtyard and a maze of yew trees. A two year excavation project in the meadows and marshland at Hever resulted in a beautiful 35 acre lake which can now be enjoyed by rowing boat or by doing a lake walk and spotting birds like kingfishers, swans, crested grebes and herons, who all make their home around the lake. The landscaping project also included making a covered walk from the lake which is bordered by columns and that runs through a pretty Italian style garden complete with grottoes, fountains, cascades, statues and sculptures. The statues and sculptures were collected during Mr Astor’s time as the American Ambassador in Italy. The Astor family resided at Hever Castle for around 80 years until 1983 when the castle and estate were sold to Broadland Properties Limited of Yorkshire who still own and maintain the castle. Want to see more photos of this beautiful castle? Click here. Thank you for all the information about Hever Castle. Very interesting!